This past weekend we added a new member to the Anderson family via marriage. 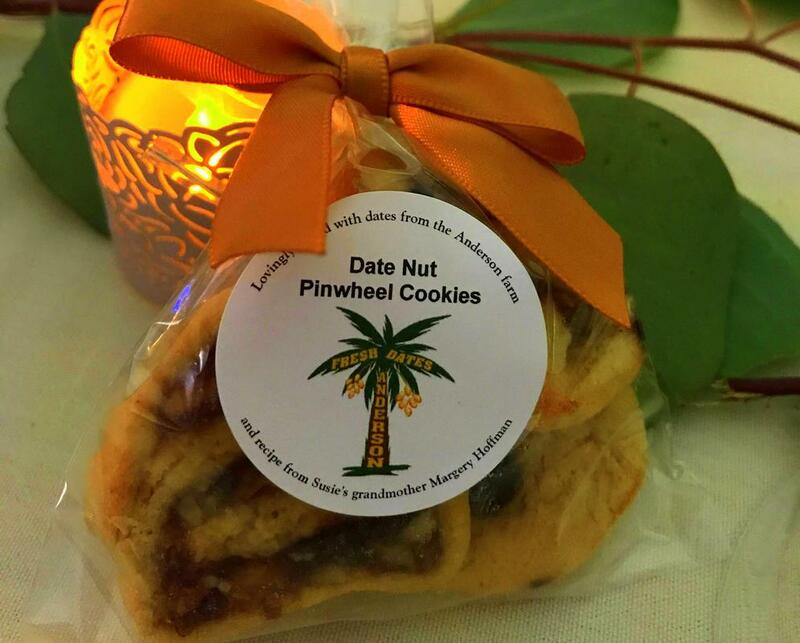 As a wedding favor these cookies were baked with authentic Fresh Dates by Anderson dates. Celebrate with us by baking your very own pinwheel cookies. Here is a quick video showing how we irrigate for a more in depth look please see our previous post listed below. Yes everyone in the family climbs the date trees even the dogs. This video show how we thin the dates to get them to become larger and to ripen more evenly. The Abada is an American variety of date that was discovered in Brawley California in 1938. 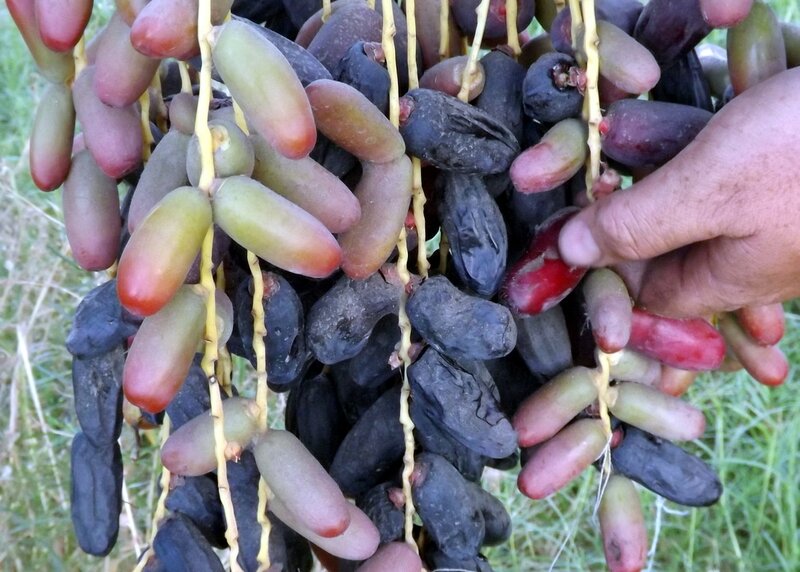 Unlike most other variety of dates like the Deglet, or the Medjul, the Abada is only grown in Southern California. The Abada is a very rare date, and it is estimated that there are less than 100 producing palms in the entire world. We currently have 5 producing Abada palms on the farm, and a few offshoots. The Abada is a black date, oblong in shape, and semi soft. when they are in the Khalal stage they are a deep red color, and very pretty. Although they are not well known, they do have a loyal following. ​ The problem with Abada is they do not lend themselves well to mass cultivation, as they are difficult to pollinate, they don't rippen very unifom, and tend to smash if not picked gently. With these drawbacks I don't foresee the Abada ever being cultivated on a large scale, but that does not mean they are not a tasty date. You can purchase the Abada, and other variety of dates on our mail order page, or by visiting the farm. In the past we have written about the the subject of pollination, now here are videos showing how we do it along with factoids about pollination. If you want an more in depth description on the process click the following links to see our articles on the subject. Currently there are two primary bags that are used to protect the bunches in use in date cultivation today. The paper bag has been in use for many years, it was introduced in the early to mid 1900's. The mesh bag is a relative newcomer and has been in use in the last 20 years. Both of these bags have their advantages and disadvantages and the determination as to which one is the best is still up for debate.